Would rather stop reading than deal with the horrible wait system. I'm just going to uninstall and stop reading the one comic I wanted to read vs wait close to a year to read new comics that have come out since the artist came back from hiatus. I'd rather try to find a physical copy of the comic and support the artist directly than deal with this horrible system. I restarted my phone and I downloaded the app again and now it won’t let me log in I even reset my password and I spent money on that account please help! 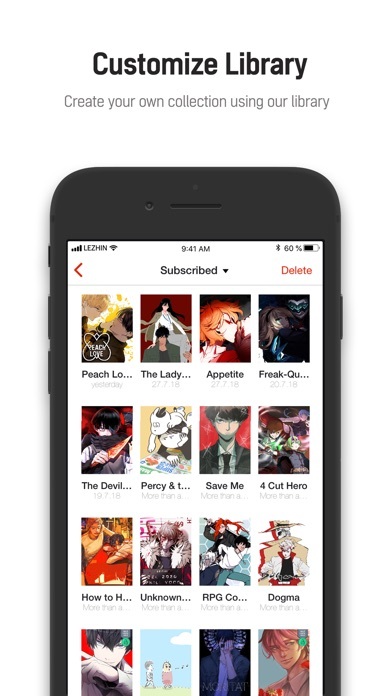 I can’t access all the chapters that I pay for on the app. I have to go on the web version which defeats the purpose of having an app. 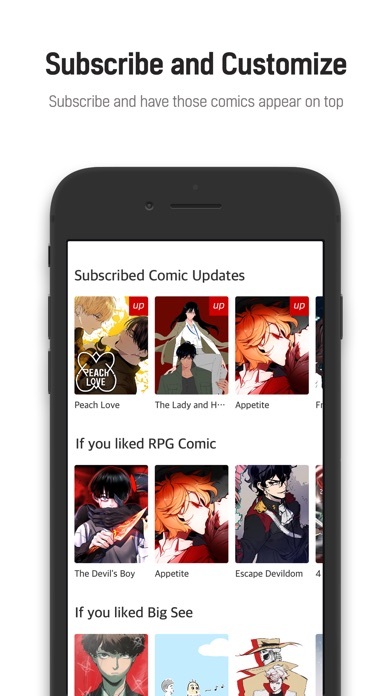 I downloaded this mobile app because I didn’t want to keep reading a computer tab. 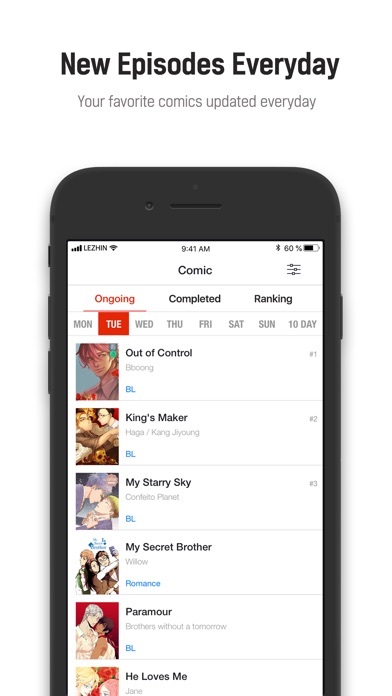 I have no problem with the pricing and such but why is the app missing several comics?? I wanted to continue reading “Talk to me” but I couldn’t find it. It’s not because it was rated M for mature (because I see several other mature comics as well). The art is really high quality, and the stories are good as well. I don’t mind the coins because the creators deserve to be paid. The wait until free comics are nice as well. My main issue is the free coin zone. Most of the surveys are scams, and I don’t want to play a billion mobile games to get free coins. Also, I have earned coins through the free coin thing and I never received them, which was really irritating after spending time to get them. If the free coin zone if fixed, and the scams are removed this would be a five star app. I waited many weeks and got free episodes to like 50, but then they just restarted out of nowhere and I don’t think I can wait again. I got some coins and spent it on some episodes but they also disappeared. Everything about this app is pretty good. I really like it except for the fact where you can’t finish stories, it ends like 10 episodes away when your waiting for them instead of paying. Now the artists should be paid but after wasting so much time on this app it pisses me off, it takes like a whole month to finish the 24 hour stories, the 12 hour ones are just a pain. I think it’s really annoying and now I have to wait to get money to pay for them, it pisses me off but I understand it, maybe you should shorten the time of waiting if you aren’t going to let us finish the story. 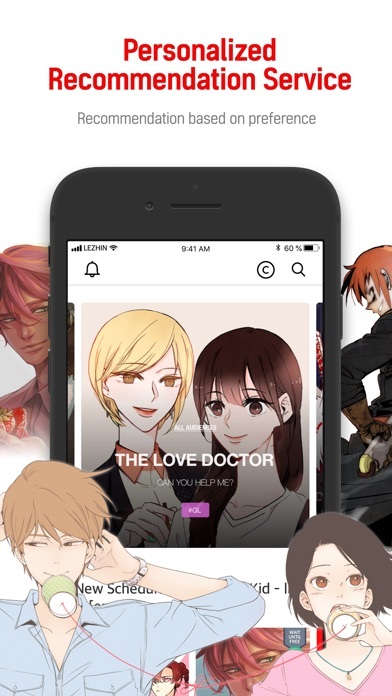 The app is pretty okay and I don’t really recommend it if you don’t have money or patience, it’s an annoying app but the stories or good.